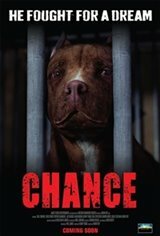 "CHANCE the Movie" tells the story of Chance, a pit-bull puppy with a peaceful heart and an imaginative mind. Chance is taught to value life and that all dogs should live in harmony. Unfortunately, Chance is soon torn from his happy home and purchased by a cruel human owner.